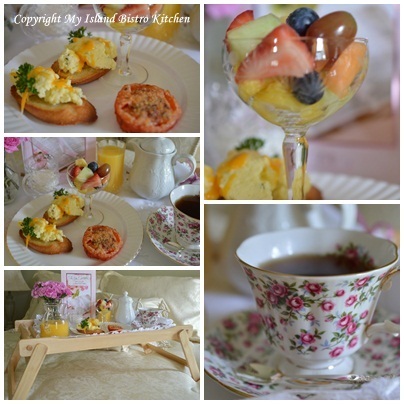 What mom doesn’t like to be pampered on Mother’s Day and what says pampering more than breakfast in bed! 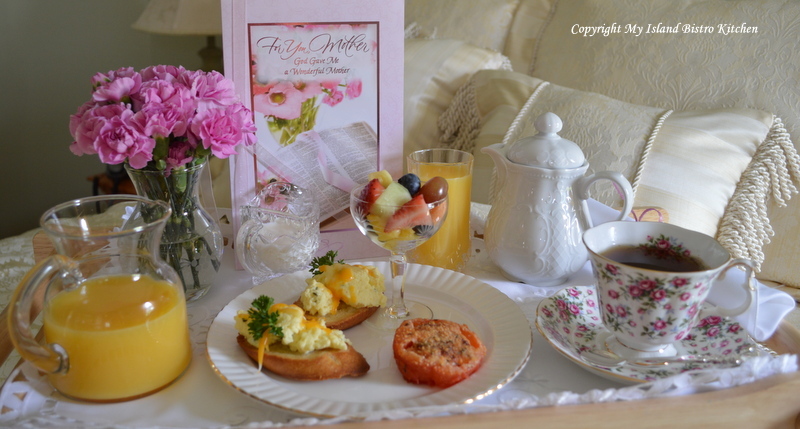 Dress up an ordinary bed tray with a lovely napkin or pretty placemat and prepare a scrumptious breakfast for Mom. 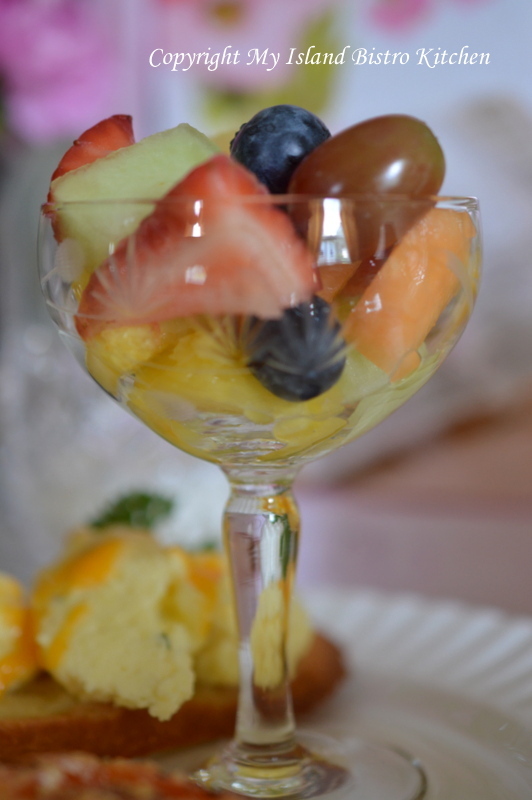 The Menu: Start with a fresh fruit cup presented in the prettiest, daintiest pedestal dessert dish. Choose a variety of fruits of different colors, shapes, and textures. 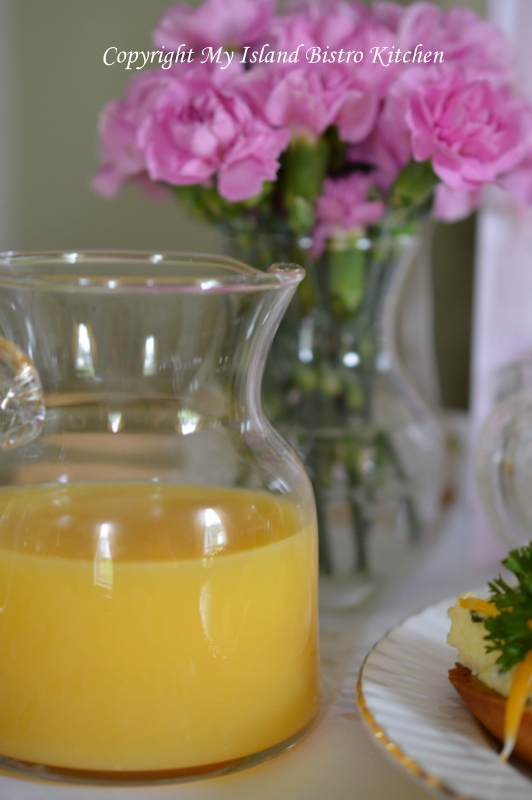 Fresh squeezed orange juice adds an element of sophistication to the breakfast tray. 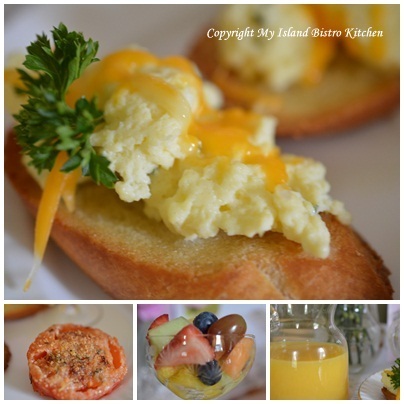 For the main course, I chose to serve scrambled eggs on crostini with a roasted Parmesan tomato half. The roasted tomato is so simple to make. Simply cut a tomato in half. 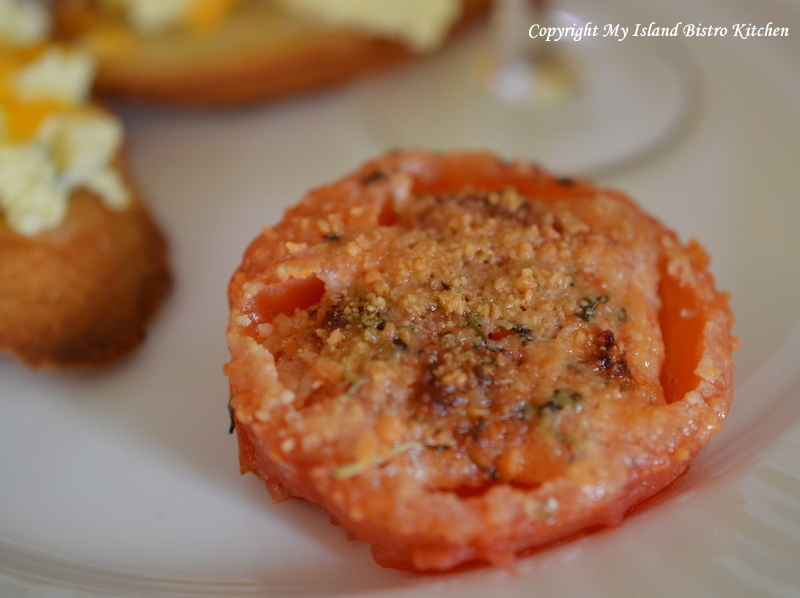 A sprinkle of Italian seasoning, salt, pepper, and a shake of Parmesan cheese is all it takes to season the tomatoes. 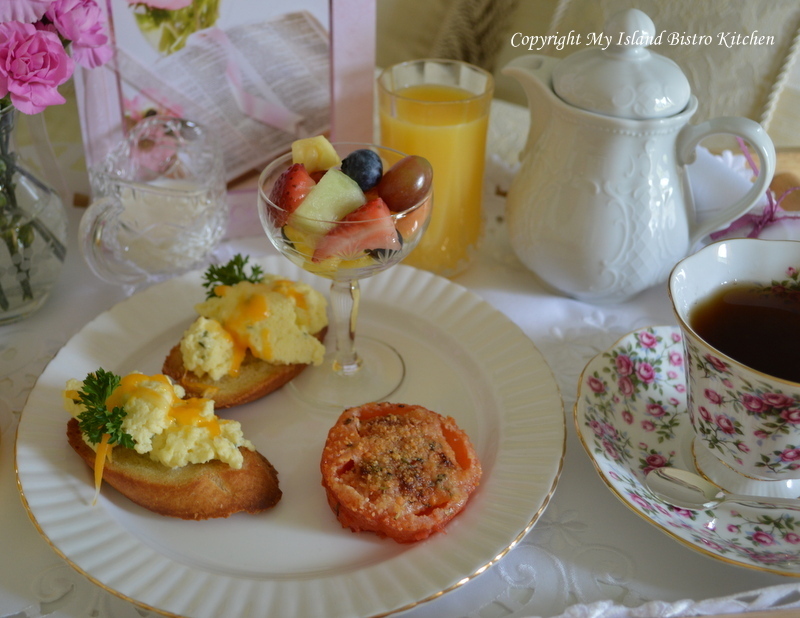 Drizzle each half tomato with a good quality olive oil – I used Liquid Gold’s Organic Tuscan Herb Infused Olive Oil. Roast the tomato on a lightly greased baking sheet in a 450F oven for about 10 minutes, just until tomato is heated and the Parmesan starts to turn golden in color. How yummy does this tomato look! 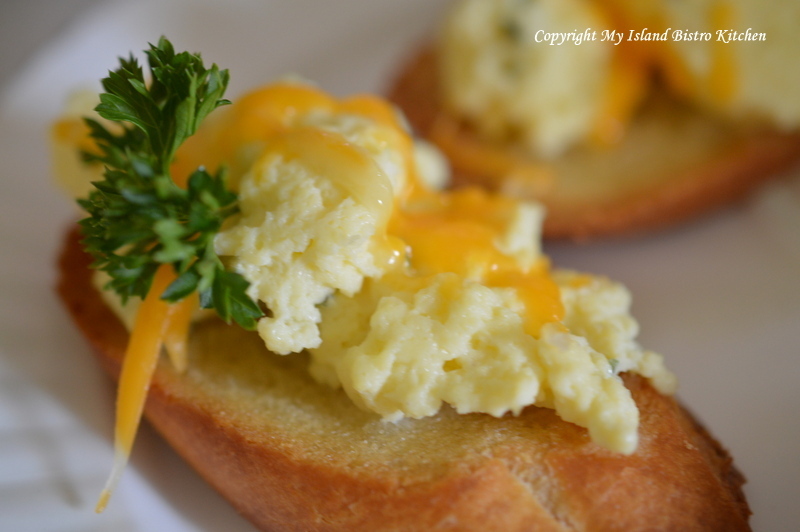 A few herbs and a topping of grated cheddar cheese take scrambled eggs to a whole new level, particularly when served on a tasty crostini. 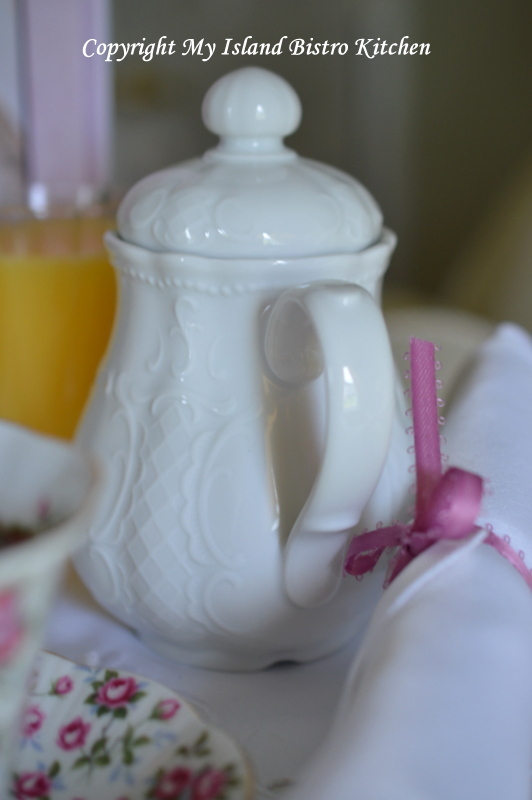 Look for lots of color to add to the breakfast tray. Color makes the tray look so much more vibrant, interesting, and appealing. 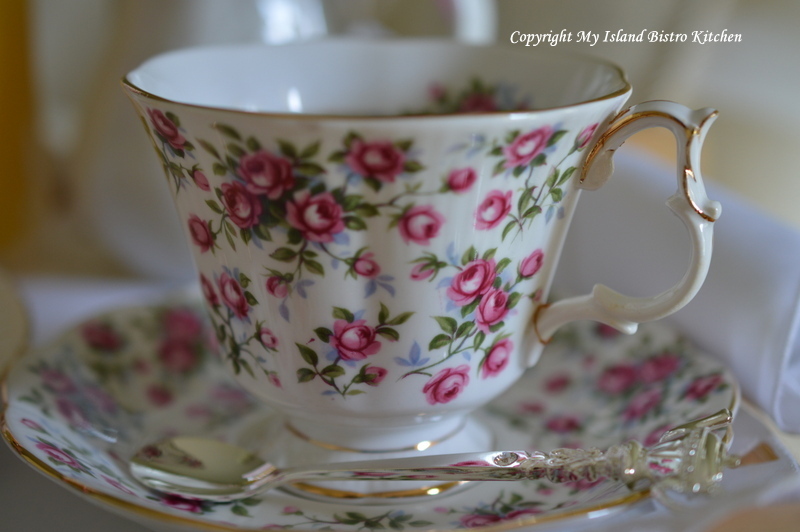 Select the prettiest cup and saucer to dress up the tray. I like these petite individual-sized teapots. They are very versatile and don’t take up much room on a bed tray. 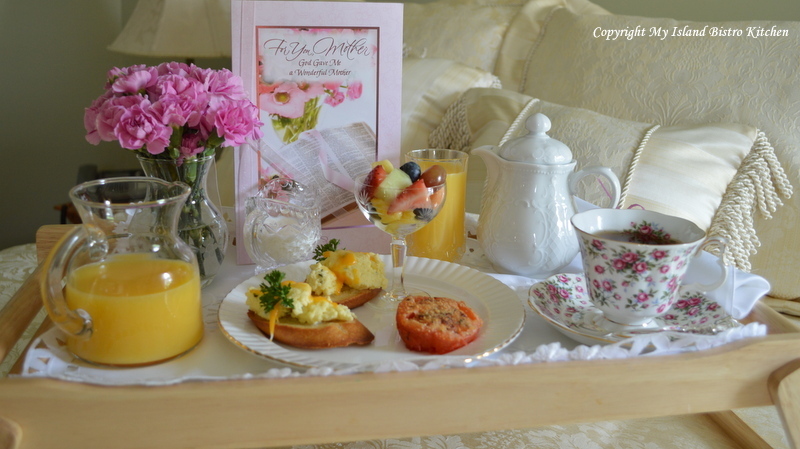 Fresh flowers are a must for any special breakfast in bed tray. 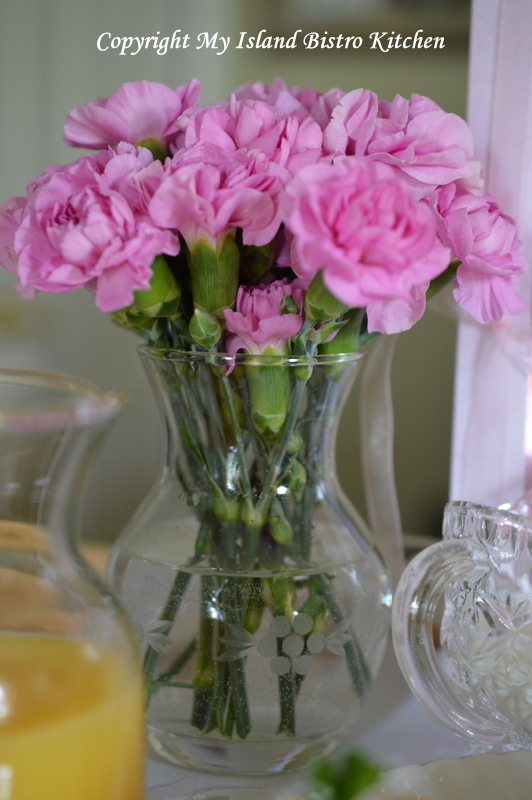 Miniature carnations are very suitable for bed trays. Everything should be to scale in order for it to fit on the tray. 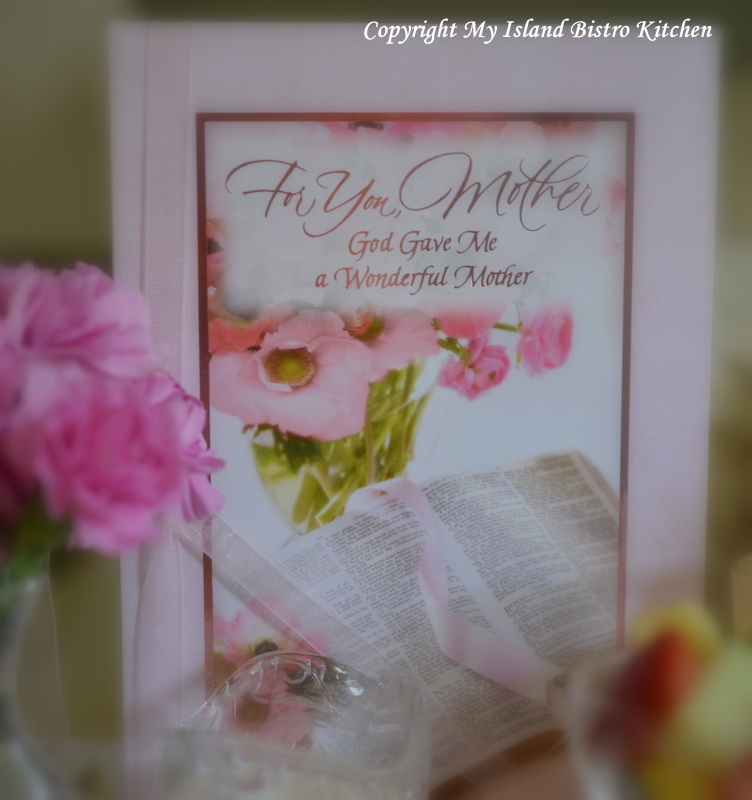 Lastly, you’ll want to add the finishing touch of a lovely and carefully chosen Mother’s Day Card. 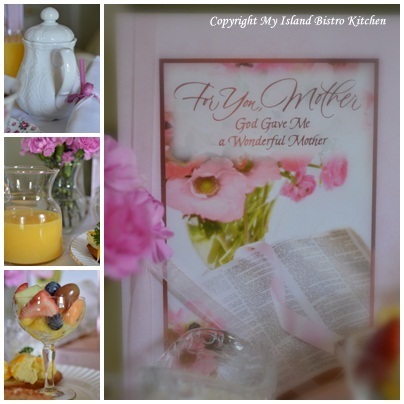 A beautiful card for a beautiful Mom! It’s all about Mom on Mother’s Day. It’s not always the big, fancy gifts that touch the heart. Most often, it is something like the care and attention that goes into planning something special, like breakfast in bed and, most importantly spending time together, that means the most.